Spirit-filled messages from across America, offering hope that comes from trusting God in troubled times. Faith means acting upon what we say we believe and what we believe is a starting point. As one of the writers in this book has written, “Good intentions are fine; but true faith is our belief and good intentions in action. 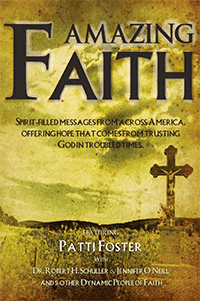 You will be stirred to examine your own faith as you read these authors’ stories. Victims of trauma, they each had to demonstrate amazing faith in painful and sometimes surprising ways.